Australian backpacker tour operator Wicked Travel has gone into liquidation owing a reported AUD 1 million to customers, employees and other businesses. The collapse has disillusioned former employees and left customers out of pocket. Canadian backpacker Taylor Gray told the ABC she had contacted the Australian Competition and Consumer Commission (ACCC) and the liquidator of the company, who said she would be unlikely to get her money back. Gray had signed up to trips to Fraser Island, the Whitsundays, the Great Barrier Reef, Uluru, and a Sky Dive at Mission Beach. She told the ABC she had wanted to finalise payment the next day but feels she was pressured into handing over AUD 2000 on the spot. She is unlikely to see the money again and the whole experience has left her feeling that travel agencies cannot be trusted. “I would highly recommend anybody who comes to Australia not to go through a travel agent, and just to do it yourself,” Gray said. A former employee of the liquidated company told the ABC he was owed AUD 10,000 in entitlements, while several employees on 457 visas had lost their jobs. The ABC said that documents showed liquidators were appointed to the company on 29 April 2017. The sole director, Byron Bay-based Jason Arthurton, has no relationship with the new company Greyhound Wicked Travel Pty Ltd.
Liquidator Laurie Fitzgerald from William Buck Chartered Accountants told the ABC Wicked Travel had debts of over AUD 1 million and barely AUD 60,000 in cash and assets. A statement on the website of Greyhound Wicked Travel, headed THE NEW GREYHOUND WICKED TRAVEL, said the new company started on 5 May 2017. Backpackers and tourists have raised concerns in travel forums for some years about services provided by the now liquidated Wicked Travel. 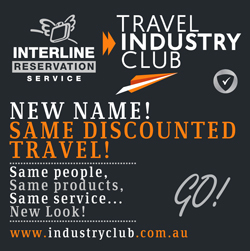 In 2009, Wicked Travel Pty Ltd, described as “a retail travel agency that provides travel services to backpacker and budget travellers” gave an undertaking to the ACCC acknowledging that it had engaged in practices which were misleading or deceptive and breached sections 52 and 53(e) of the Trade Practices Act 1974, by causing “advertisements for tour packages to be published in various backpacker magazines, on its website and on promotional flyers and signs that did not correctly reflect the full total price of the packages or properly state a single (total) price for the package”.